The Health Research Institute (HRI) laboratories recently reported that there were traces of glyphosate found in 13 out of 14 tubs of Ben & Jerry ice cream tested in the EU. The samples came from a range of countries including the UK, France, Germany and the Netherlands. Glyphosate is one of the most controversial of weedkillers and had been classified by the WHO as “probably carcinogenic to humans”. 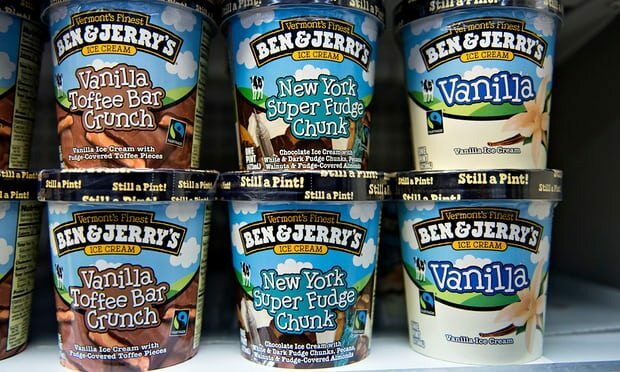 Although according to the New York Times, similar levels of glyphosate in B&J ice-cream have also been recorded in the US, scientists claim that the amounts found were “very low and not likely to pose a public health problem”. European consumers are becoming less and less tolerant of traces of poison in their food. There have been recent calls for a blanket ban on glyphosate at EU level. The main risk posed by the consumption of glyphosate occurs as a result of low level consumption over a long period of time. Unfortunately the chemical is used as a drying agent for grain crops such as wheat, oats, rye and barley all of which feature relatively prominently in many European and American diets. In laboratory tests, consistent low level consumption caused fatty liver disease in rats, a disease that affects approximately 20%-30% of Europeans. This story was originally reported in the Guardian, to read the full article click HERE.